Universal health care! A multitude of tall, beautiful blonde people! IKEA! Does it get any better? 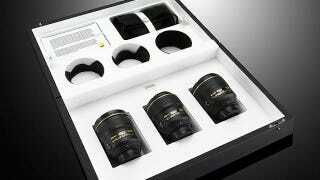 Apparently, it does—Nikon is now selling its chic limited edition set of three lenses in Sweden—the only country besides Belgium.